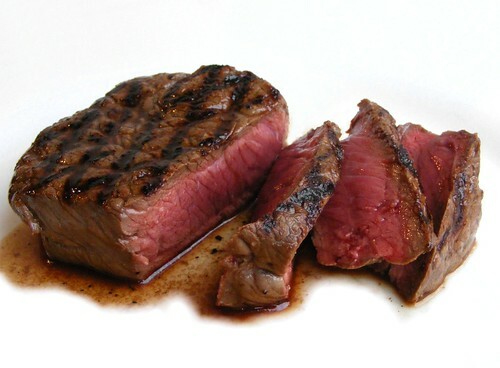 Nothing like a juicy steak, cooked to order. A crock pot is our best remedy for cooking this lean beef just the way we like it, while also keeping the moisture and tenderness in. Set it up in the morning to cook, come home at night and enjoy! I was looking around for recipes recently and came across two recipes for scrumptious crockpot steak. Trim all excess fat (if you can find any) from steak and cut meat into 3 inch strips about 1/2 inch wide. Combine 1/2 cup flour, the salt, pepper and dry mustard; toss with steak strips to coat thoroughly. Place coated steak strips in crock pot; stir in onion rings and mushrooms. Add beef broth and wine; stir well. Cover and cook on low setting for 8- 10 hours. Before serving, combine sour cream with 1/4 cup flour; stir into crock pot. Serve stroganoff over rice or noodles. -Trim all excess fat (if you can find any) from round steak. Cut into 8 evenly shaped pieces. Pound steak pieces between waxed paper until very thin and easy to roll. In skillet, lightly brown sausage. Drain well and combine with parsley, 1/2 teaspoon oregano, garlic, onion, and salt; mix well. Spread each steak with 2 to 3 tablespoons of sausage mixture. Roll up steaks and tie. Stack steak rolls in crock pot. Combine tomatoes, tomato paste, salt, and 1 teaspoon oreagno; pour over rolls. Cover and cook on low setting for 8 to 10 hours. Serve steak rolls with sauce. -SAUCE: Place all ingredients except flour, oil, and vinegar in crockpot; stir well. Cover and cook on low setting for 8 to 10 hours. Remove cover and turn to high setting for the last hour to reduce excess moisture. Before removing sauce from crock pot, stir in flour, oil, and vinegar. Allow to cool. Pour 3 cups of sauce at a time into blender container; blend until smooth. Salt and pepper the steak and rub with a bit of olive oil. You want to bring the steaks to room temperature so let them sit for half an hour before you broil them. Preheat the broiler for 15 minutes. You will need to broil the steaks for about 5 minutes on each side, but broilers vary greatly so use your discretion. This is a perfect dinner for two. Serve with creamed spinach and oven-fried potatoes. Enjoy! While I raise my own grass-fed beef here in Missouri, I suggest you try a vendor such as La Cense Beef if you want to sample some truly wonderful, Montana-raised grass fed beef. Click to Select... Finding All-Natural Grass Fed Beef How Is Pasture Fed More Healthy? Pasture Raised Beef More Humane? Running A Sustainable Beef Ranch Is Striped Prime Beef Better? How Corn Fed Beef Started What are Omega 3 and 6? How to Eat Healthy Beef Cheaply - Buy Wholesale. Just bring your boots and be prepared to walk! Don't Miss Out - Get Your Name on The List! Sorry we missed you this year. If the contact form is up, we're accepting new clients. Fill out that contact form today so you can get your name on the list for next year! We only process so many beef a year. Because we are a small, local farm that is more interested in delivering lots of value through our beef than holding out for a lot of profit at insanely high prices. And our harvest season is in Spring, right up to June, not all year round. As more people find out about our farm, more people want our product. Unfortunately, we can't provide our beef to everyone. And some people simply live too far away. So we did some research and found U.S. Wellness Meats for everyone else. They are another Missouri grass fed beef producer, who also deals in other produce from local farmers nearby. And they ship USDA-inspected beef right to your front door. Note: We reserve the right to refuse service to anyone. Commerce is a privilege, not a right. Content Copyright Worstell Design LLC - All Rights Reserved. Simple theme. Theme images by wingmar. Powered by Blogger.